Galaxy S8 Vs Galaxy S7: What's The Difference? - The Maghreb Times ! Home News Galaxy S8 Vs Galaxy S7: What’s The Difference? Galaxy S8 Vs Galaxy S7: What’s The Difference? Samsung has launched the Galaxy S8 and Galaxy S8 Plus and there are key differences between them. Samsung is betting most on the Galaxy S8, but is it really so different to the Galaxy S7 and or even the better buy? You might be surprised. 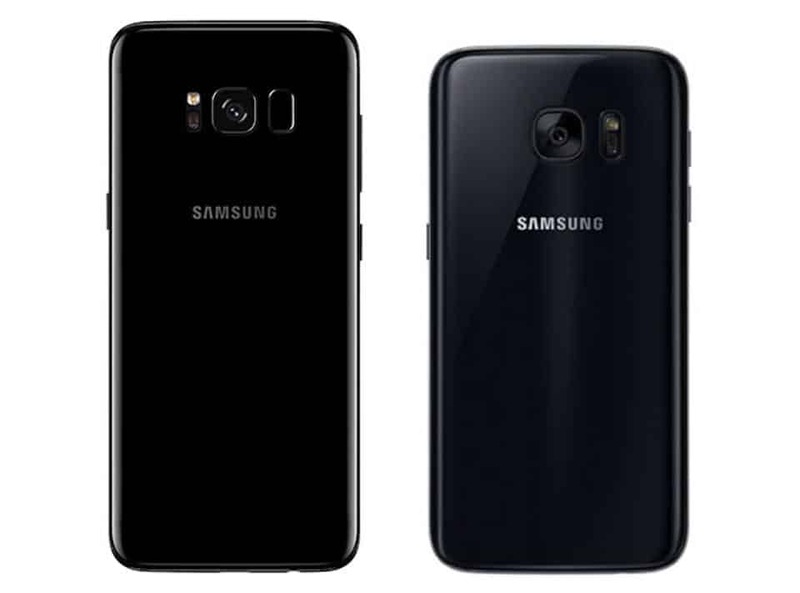 Galaxy S8 (left) Vs Galaxy S7 (right) – there’s no comparison when it comes to style. Yes the Galaxy S8 display is massive and now takes up over 83% of the front of the phone. Given the Galaxy S7’s 72% was class leading last year, this is a significant step forward. 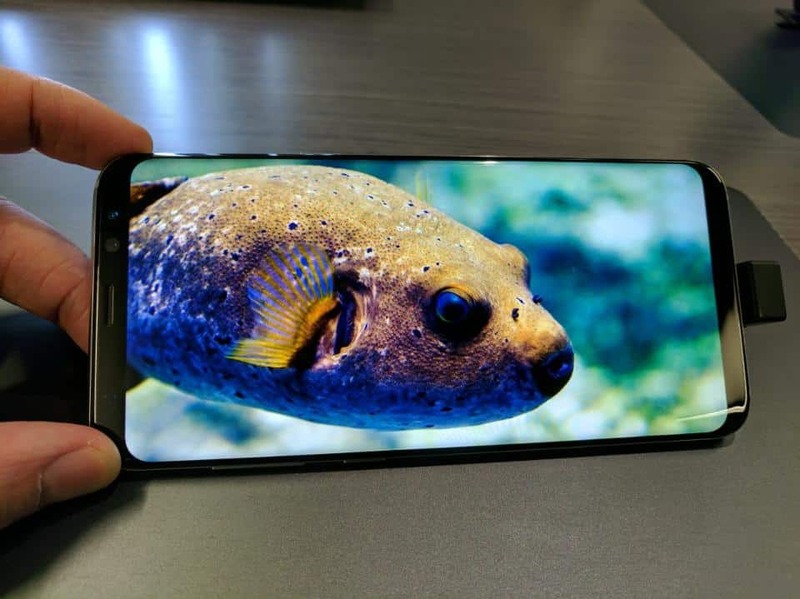 The new display is also slightly brighter with improved contrast making the Galaxy S8 the first smartphone receive Mobile HDR Premium certification. And Gorilla Glass 5 survives falls better than Gorilla Glass 4. The smaller bezels mean the Galaxy S8 loses its physical home button. The on-screen navigation buttons which replace it are a step forward as they are now customisable (at last! 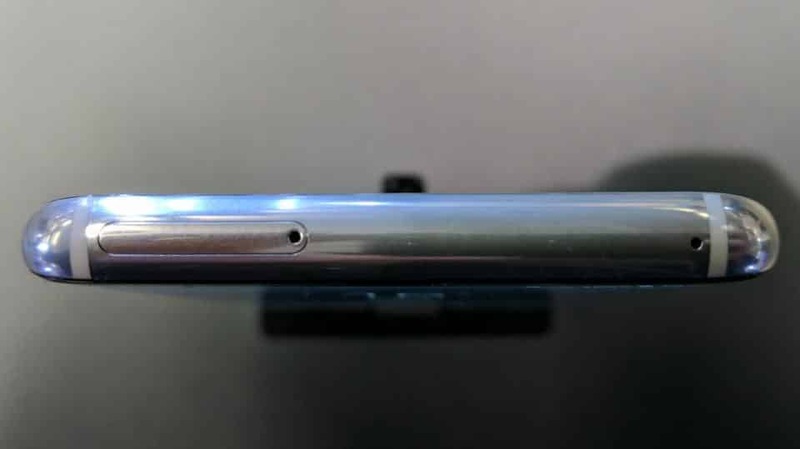 ), but the fingerprint sensor is bizarrely relocated to the right of the rear camera. This makes it harder to reach (especially holding the phone in your left hand) and you’re going to smudge the camera lens a lot. This isn’t the end of the word, but it’s annoying. Initial Galaxy S8 color options aren’t particularly inspiring with just Midnight black, Orchid Grey and Arctic Silver available, but expect more to debut throughout the phone’s lifecycle. If you love smartphone cameras then Samsung’s annual upgrades are traditionally a reason to celebrate – until now. 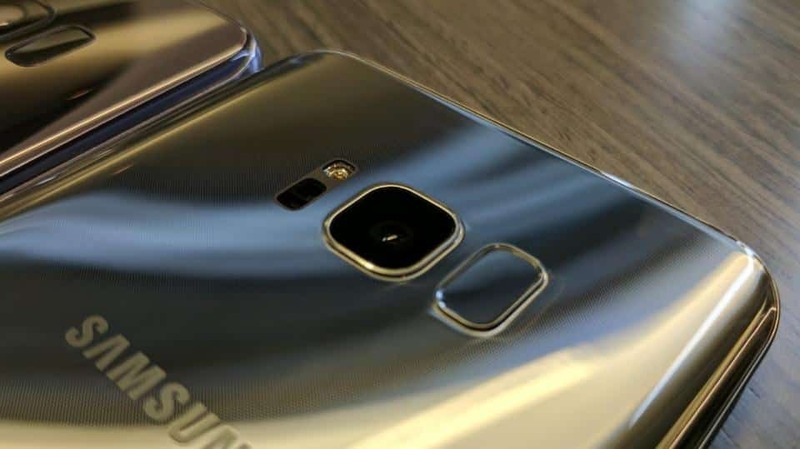 Surprising many, Samsung has simply fitted the Galaxy S7 rear camera into the Galaxy S8. Where the Galaxy S7 won’t catch up, however, is the front camera. Gone is its mediocre 5 megapixel camera to be replaced by an 8 megapixel module. It retains the same f/1.7 aperture and initial testing suggests this is a significant step up. 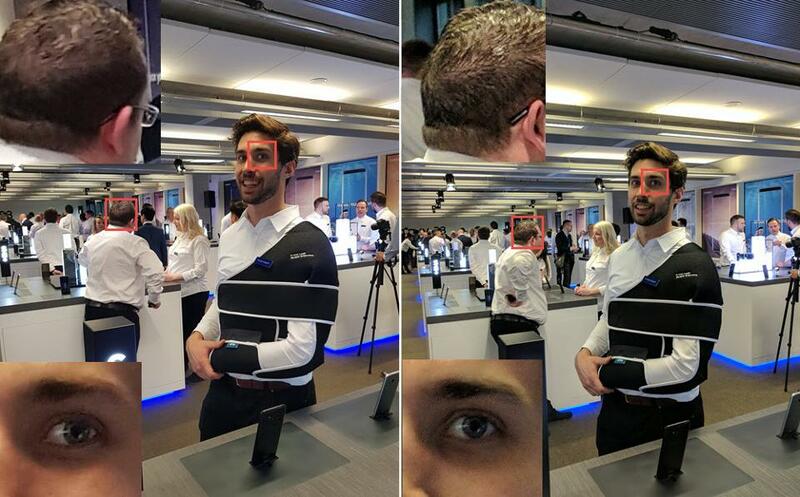 Samsung has also crowbarred in Snapchat-copying filters which – while derivative – will no doubt prove popular. 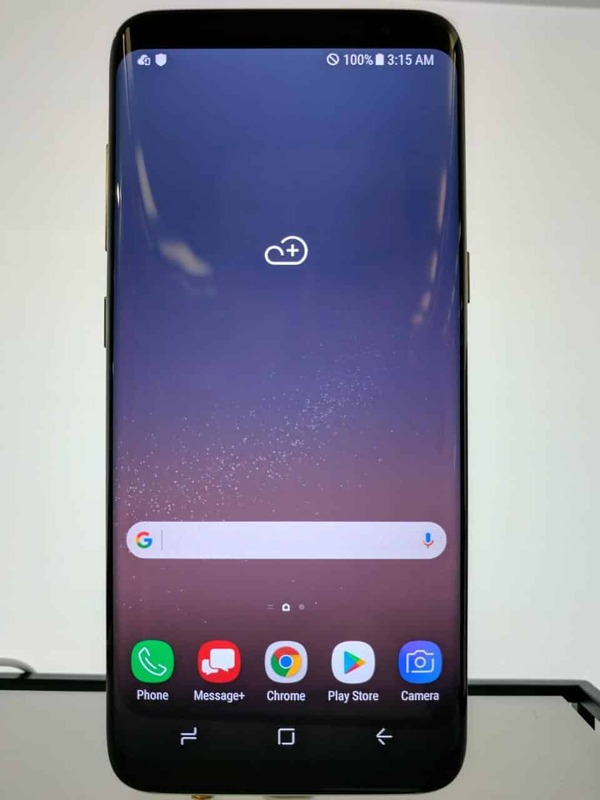 As for general performance, again I reserve judgement since the samples I used had pre-release software but Samsung will need to do some optimisation as the occasional moments of lag and dropped frames of animation that haunt TouchWiz were still present. Consequently where the Galaxy S8’s main performance upgrades lie is connectivity. 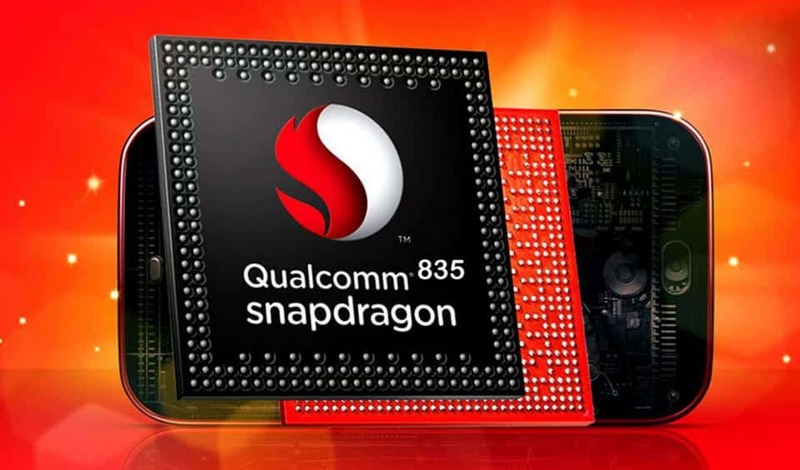 It is the first smartphone to support Bluetooth 5.0 (2x speed, 4x range of Bluetooth 4.2) and LTE (4G) speeds up to one gigabit, though good luck finding a carrier who can max this out (and if you find one, tell me know!). Software – Exclusive Features But For How Long? 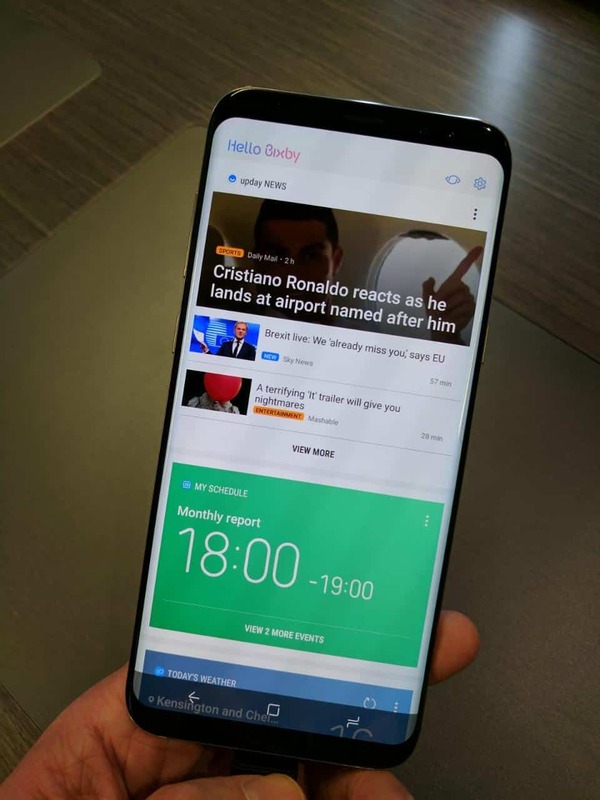 As an Android purist, Samsung’s extensive customisation of Android is not to my liking but you will find several features which – for launch at least – will be exclusive to the Galaxy S8 over the Galaxy S7. 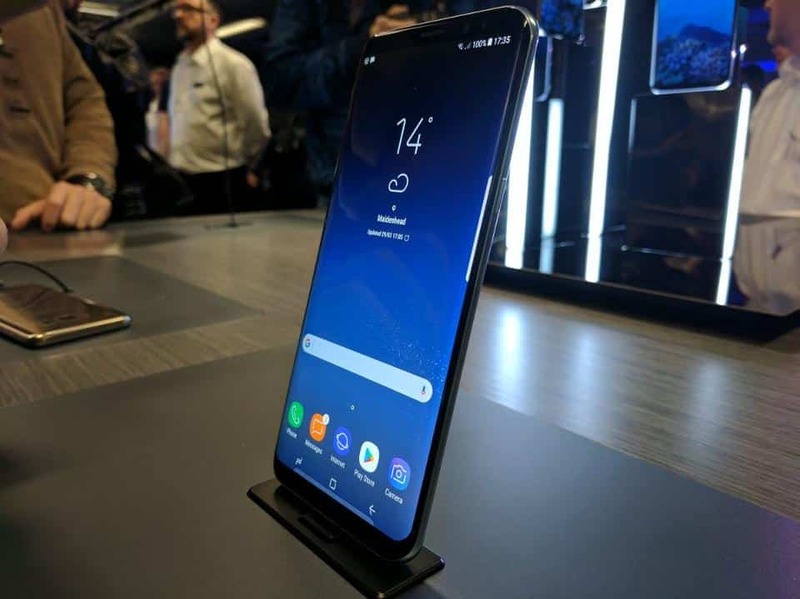 Aside from this you’ll find Samsung Connect – a Google Home/Apple Home rival for controlling your IoT devices, and Samsung Pay (already on the Galaxy S7) which is a credible rival to Android Pay. There again you’ll also still find two app stores, two calculators, two web browsers, two mobile payment services, two clocks, etc but if you’re a Samsung smartphone user you’ll be used to/have made peace with this a long time ago. Spend $150 on the DeX dock and it will turn your Galaxy S8 into a basic Chrome OS-style PC. 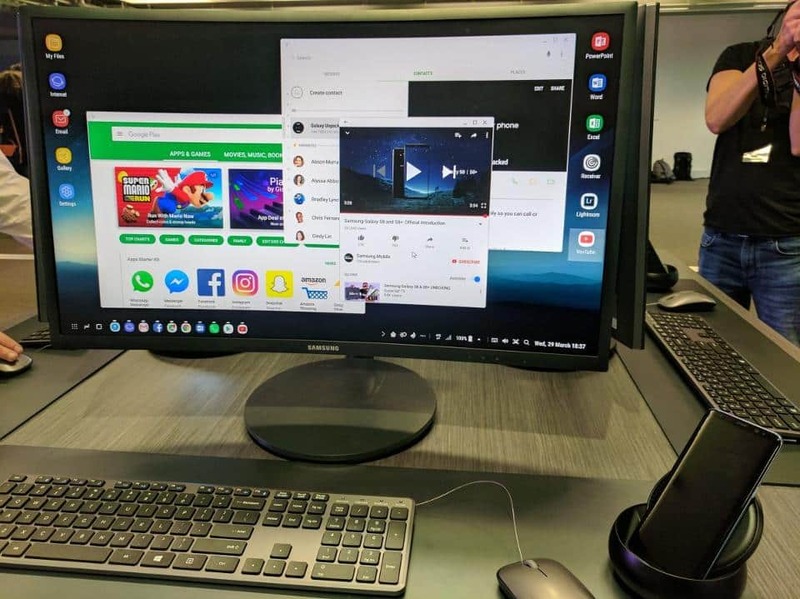 DeX has two USB ports for a mouse and keyboard and HDMI for a monitor so when connected the Galaxy S8 launches a customised Android desktop interface complete with mouse pointer, multi-windows support and Android apps. It is also compatible with Citrix Receiver and Amazon Workspaces. For businesses this could be useful though given the Galaxy S8 cannot operate simultaneously in both desktop and smartphone modes, I do think it is probably easier to spend the DeX money on a dedicated Chromebox. Time will tell. Extensive testing will hopefully prove me wrong, but it on paper it looks like Samsung’s experience with the Galaxy Note 7 has seen it play overly safe with the Galaxy S8. Yes that’s a circa $100 increase on the launch price of the Galaxy S7, but you do get twice the internal storage and it is based on the faster UFS 2.1 standard. There’s also a decent pair of AKG earphones bundled which Samsung values at $99 and goes some way to mitigating the cost (unless you already have good earphones/headphones, then its just annoying). The flipside is this is a lot of money to ask if you already own a Galaxy S7, and if you don’t own either then the fact a Galaxy S7 can now be bought new for little more than half the price muddies the waters somewhat. And yet if you look beyond this (admittedly killer) feature and the Galaxy S8 is actually a fairly incremental update on the Galaxy S7. 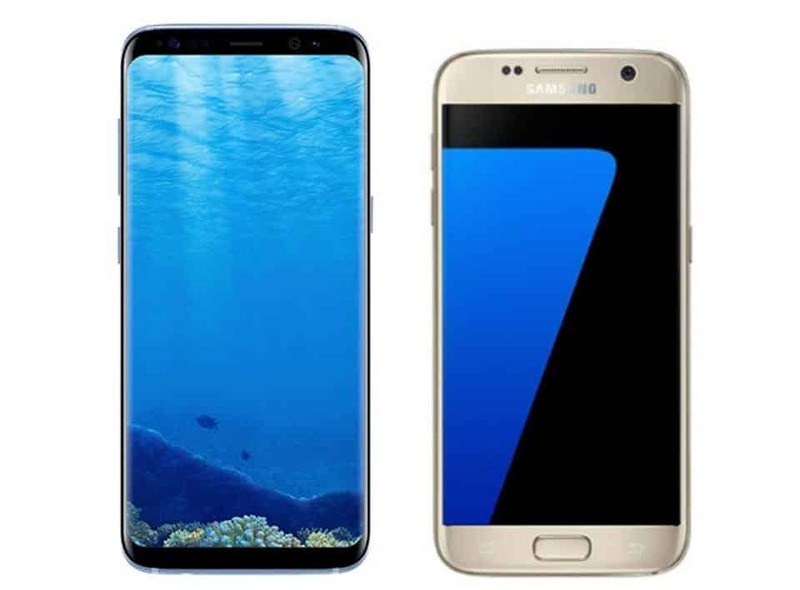 It has the same main camera, battery capacity, is only marginally faster, has a poorly located fingerprint sensor and the phone is unlikely to last as long as the Galaxy S7 on single charge. Which would I buy? If I could afford it then I’d still go for the Galaxy S8 due to its jaw dropping design. But if money is tight, then the Galaxy S7 is the better buy since it’s almost same phone with a smaller display. And that’s not something I expected to find.